Chipotle hinted it might roll out new menu items such as nachos, quesadillas, and grains. The chain already serves nachos at its New York City test kitchen. We tried the dish – and we were underwhelmed. Chipotle just hinted that it’s exploring new menu possibilities as the struggling chain tries to keep its head above water. CEO Steve Ells said in a call with investors on Tuesday that the company is considering “salads with different kinds of grains,” as well as “traditional things” like nachos and quesadillas. 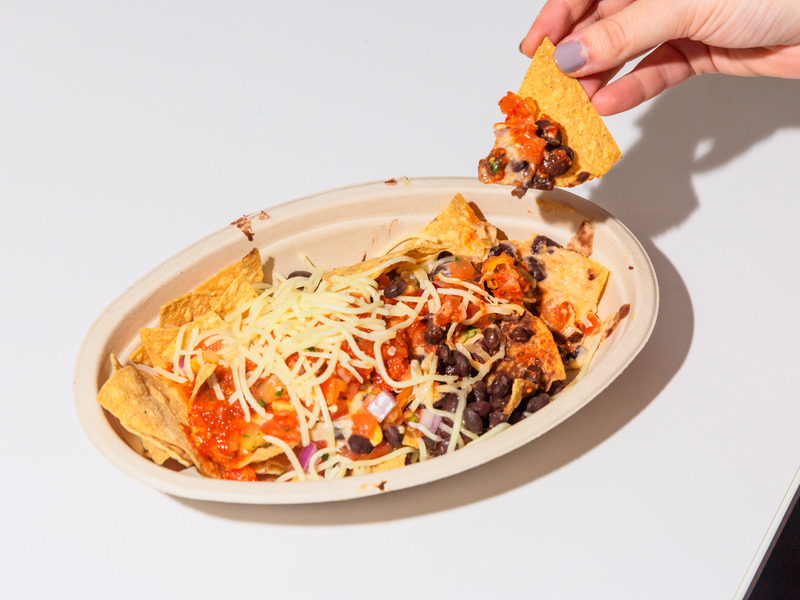 The chain is already serving nachos in its test kitchen in New York City, and the dish has long been on the chain’s secret menu. We visited the test kitchen in November and purchased the nachos for $US4.80. Chipotle’s nachos rely on its queso. While the queso had a rocky roll-out, Chipotle has made some necessary tweaks to the recipe – something that saves the nachos from immediate failure. 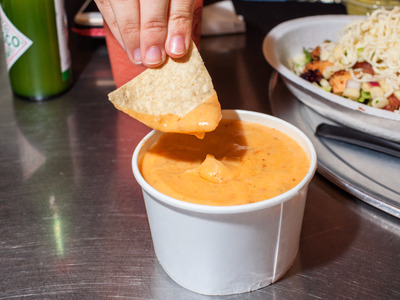 Today, the chain’s queso isn’t spectacular and lacks the viscosity of the Tex-Mex classic, but it is passable, with a pleasant smokey undertone. In essence, the nachos are chips with queso on top, plus whatever else you want from Chipotle’s assembly line of ingredients. This is both Chipotle’s nachos’ biggest strength and biggest weakness. They are highly customisable, which is crucial at a point in time when everyone already knows what they like at Chipotle. However, there’s no tried-and-true flavour combination. Chipotle is not making any effort to figure out how to blend the flavours together in a particularly artful manner – it’s all on you. Ultimately, nachos are a sensible thing for Chipotle to add to the menu. If anything, it’s shocking the chain didn’t add the dish earlier. They have all the ingredients – they’re just waiting to be mixed together. It’s not the most innovative dish, but it has come to be expected at a Tex-Mex chain. And, as Chipotle is grasping at straws, it will take the wins where it can get them.